Such a cute and cool car! And depicted with it’s very own owner and owner’s pet. 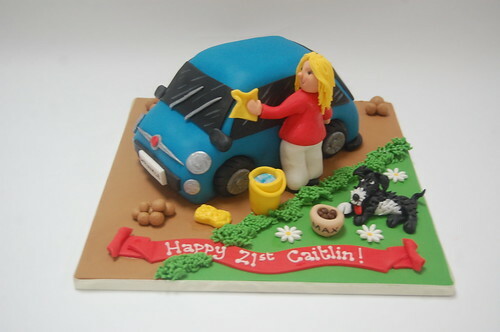 The Fiat 500 Cake – from £80.